Growing up is a big adventure and a challenge, especially when you’re a seven-year-old boy who doesn’t quite understand how the world works yet. For example, what are you to do when a neighbor-girl teases you or your father suddenly goes missing at the grocery store? Who owns the tasty plum that drops onto your head on the sidewalk? And what about the other plum that’s hanging on a tree in a stranger’s yard and is almost in reach? How can you get the last free piece of cake that guests brought over all for yourself? To date, Anti Saar has written four books in his “Pärt” series: Pärt and the Last Piece of Cake; Stand Here, Pärt! ; Pärt and the Plums; and Pärt Can’t Do a Backflip. Each has been warmly received by young audiences, and the fifth is soon to come. The stories center on situations that demand quick problem-solving. Pärt is faced by challenges that set his thoughts and vivid imagination in motion, and in the process of solving them, the boy experiences emotions to which children of all ages can relate. In Pärt and the Last Piece of Cake, Pärt concocts a plan to get his hands on a dessert he so longs to have and gets right to work, believing he’s entirely justified in doing so: “On top of that, it just had to be fair for the last piece of cake to belong to the person who got such an unfairly small piece the first time around.” However, Pärt’s scheme hits an unexpected obstacle, forcing him to come up with a new plan of action. This second approach doesn’t go off without a hitch either, as the guests begin to show a sudden heightened interest in what Pärt is up to. “…when I saw that Aunt Asta had found my drawing pad and colored pencils, I knew right away that nothing good was about to happen.” How can the boy be polite and social when the only thought pounding in his head is getting the last piece of cake? A piece that has disappeared by the time he returns to the living room! There are surprises and twists galore in all of Pärt’s stories. The child is unable to foresee situations that an adult with their experience might readily assume. He dives headfirst into every challenge, his mind filled with a whirlwind of his parents’ instructions, bits of wisdom picked up from books, a wild fantasy, childish egotism, and a desire to be well-behaved. Through the boy’s eyes, we embark upon a narration of a child’s ordinary day packed with an astonishing number of crucial and exceptional circumstances. The path through Pärt’s thoughts is witty, enjoyable, and exciting. His logic takes unexpected turns while remaining entirely credible. Whereas Pärt loves to think everything through, the neighbor-girl named Kaisa has no qualms making speedy decisions. She behaves spontaneously and selfishly, adding a sizzle to the books from the clash of two contradictory perspectives. Young readers learn about the multiplicity of views and the importance of taking other people into account. Pärt’s family teaches him this same lesson. The boy’s father or big brother always seem to show up in the nick of time whenever he starts to falter, helping him arrive at a solution. His family is affectionate and supportive, and his cozy home in a garden suburb is the ideal place to get to know the world. Children are influenced by every person with whom they come into contact. 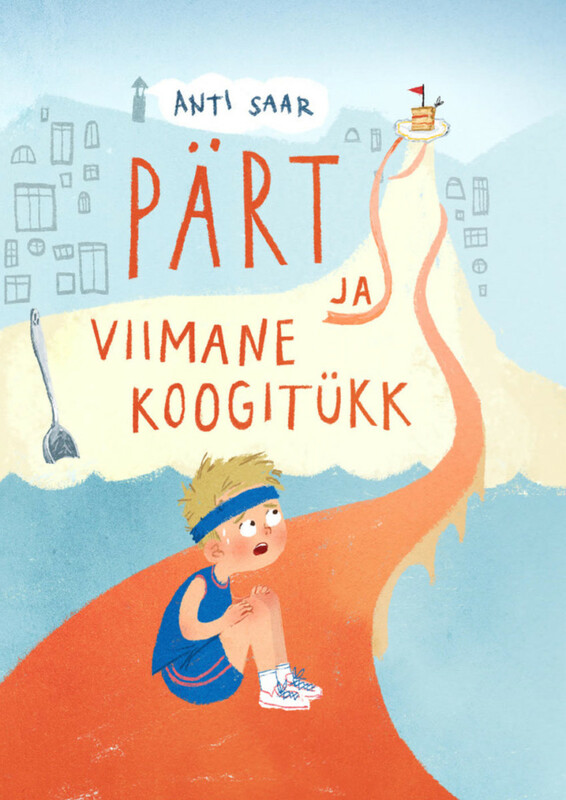 Pärt’s mind wanders to his grandparents’ activities as well as to Kaisa’s grandmother, whose folk wisdom is fast-working stuff that appears in almost every story. “I was already getting ready to jump when a thought flashed through my mind: God sees you! God sees everything you do, even in the dark! He’s even got sharper eyesight than a wolf! Kaisa’s grandma told me that.” The saying that it takes a whole village to raise a child seems to hold true, no matter what strange characters they may meet along the way. Hopefully, Saar won’t let Pärt – who has now reached school age – grow up too fast, so that the book series brimming with capers and discoveries might last a long time more. Tiina Undrits is an avid reader and researcher who works at the Estonian Children’s Literature Center. She is also a co-author of the extensive Estonian-language work The Gold Standard of Estonian Children’s Literature (2018).